"In El Gouna you can expect delicious food, great shopping and amazing weather all year round!" 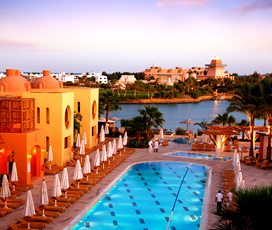 El Gouna is a self-contained holiday resort, which is often considered to be the best run resort in all of Egypt ideal for beach and family holidays. It is built around a system of lagoons and waterways, meaning that it has excellent access to the turquoise waters of the Red Sea. 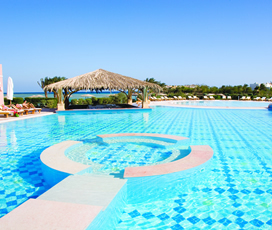 The sun is always shining in El Gouna with few rain drops every six years. But after it rains, desert colours spring to life with the most stunning flowers in the desert. In the town centre you can find traditional bazaars and an Art Village with local handicrafts and practical activities. It has excellent facilities, including an 18-hole championship quality golf course and a plethora of excellent restaurants and boutique shops. This makes it ideal for people who want to relax on the beach or dive amongst the incredible marine life that is hidden within the azure waters of the Red Sea. 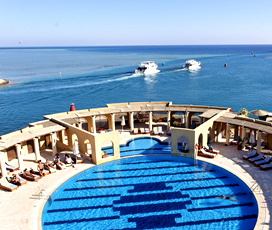 A vibrant resort town on Egypt’s sapphire Red Sea Coast, it is situated close to Hurghada and is built along the coast and a series of islands. It is famous for its beautiful lagoons, golden beaches and colourful coral reefs, making it ideal for those who love watersports. The busiest part of the resort is the Abu Tig Marina and the downtown area, which throb with restaurants and nightclubs. Ideal for a beach holiday it has hot dry weather all year round. 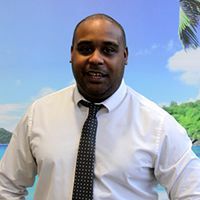 Temperatures average above 25 degrees between late February and December, with the hottest months of the year being June, July and August when temperatures are well above 30 degrees and the sea temperature is also above 30 degrees. December (22 degrees) and January (15 degrees) are slightly colder, although still very pleasant. The resort was the brainchild of Samih Sawiris, an Egyptian businessman who was looking for a place to locate a holiday home, in 1989. He eventually settled on El Gouna and since then the holiday resort has blossomed into a vibrant holiday resort, replete with a harbour, sparkling blue waters and mountains in the background. With plenty of family-oriented activities, families can enjoy the Aquarium and Museum, which is ideal for those who want to excite and educate their children. There are a great range of kids’ activities available on the marina with things like a go-karting and mini-golf the perfect way to distract them, while you enjoy the breath-taking scenery. Zeytouna beach offers pony rides and the majority of hotels have kids’ clubs, ensuing there is plenty to do on their family holiday. Considered to be one of the better nightlife destinations in Egypt, it has an array of different night time options for guests to enjoy. The two main nightlife centres are Kafr el Gouna (downtown) and The Abu Tig Marina, where visitors can find cosy pubs, trendy nightclubs and the extravagant Aladdin’s Casino, alongside more unique offerings like the Palladium open-air disco and a plethora of others too numerous to mention. 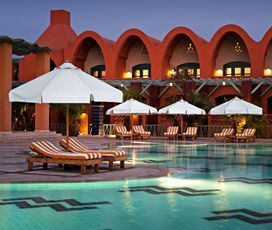 If you are looking for night-time action in Egypt, then El Gouna is one of the very best places to go. As a classic resort town, it offers a good range of souvenir shops, where visitors can purchase traditional Egyptian goods. It also plays host to an open-air market and has a variety of international brands, although as a dedicated resort, things may be more expensive than in other parts of Egypt.